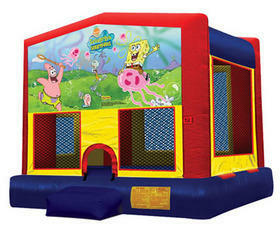 Sponge Bob is a 13' x 13' bounce ride. Can be delivered or customer can pick up (please see or ask about our delivery rates). Delivery includes set up and break down of the bounce ride.